According to my wife and friends I should definitely have received this award every year since I was 15 years old 🙂 but seriously… it’s that time of the year again and tickets are now available for this super bash at the fabulous Boisdale of Canary Wharf on the 3rd December. Ranald and I dreamed up this unique annual event 5 years ago over a long strategy lunch herf (went on for bloody ages!) and it’s the largest cigar event in the UK on the calendar. 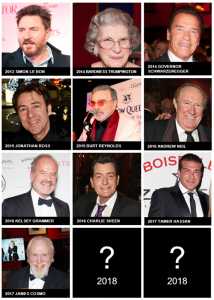 You can get tickets on the Boisdale website or if you would like to join Karyn and I on the C.Gars table, book on the C.Gars website. 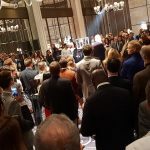 It will as ever be an evening to remember! Join Mitchell Orchant on the C.Gars Ltd table. I had an action packed week last week with a visit to Turmeaus Liverpool during the day and supper and jazz at Puffin’ Rooms on Wednesday evening. 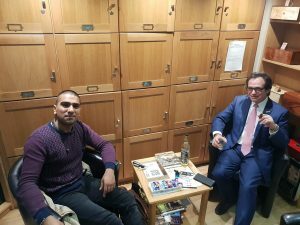 All Turmeaus shops are crammed to the rafter with the finest premium cigars, the chancellors Budget yesterday has meant there will unfortunately be an increase in duty on tobacco products. We will of course hold our prices as long as possible, but regrettably they will have to go up. Stock up on your favourites now while you still have the the chance at pre-Budget prices. The base increase is RPI plus 2% plus VAT but importers and distributors also take the opportunity to increase their prices taking into account manufacturers price increases and currency fluctuations. So… you have been warned, top up your humidors at pre budget prices – whilst stocks last. Jazz in a bit of a Boardwalk Empire style was performed by Amanda and Nick at Puffin’ Rooms and Chef Chris treated us to top notch cuisine as usual. 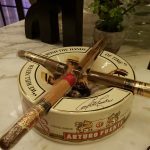 We sampled Davidoff Late Hour paired up with Stalla Dhu Ben Nevis at Turmeaus Late Hour Cigar Shop & Sampling Lounge till the wee small hours. Simply, a perfect evening. On Friday I visited Turmeaus Norfolk and checked out the work going on at our new headquarters building which we expect to move into a little later this year. Well… its coming along very nicely 🙂 Our sales team are getting the office of their dreams and the shop, humidor, pipe room. whisky room and sampling lounges are all taking shape nicely. Our beautiful new headquarters building is a historic listed building spread over 5 floors with the original 200 year old oak staircase and wooden beams throughout. We’re already planning a grand opening event and our customers in Norfolk and surrounding areas will be amazed with this state of the art Turmeaus offering. No good news on Havana supply regrettably with no availability of Cohiba BHK’s and Siglo VI still and the latest casualty is Piramides Extra which are now not available. Better stock up on Siglo IV and Robustos before they disappear as well! 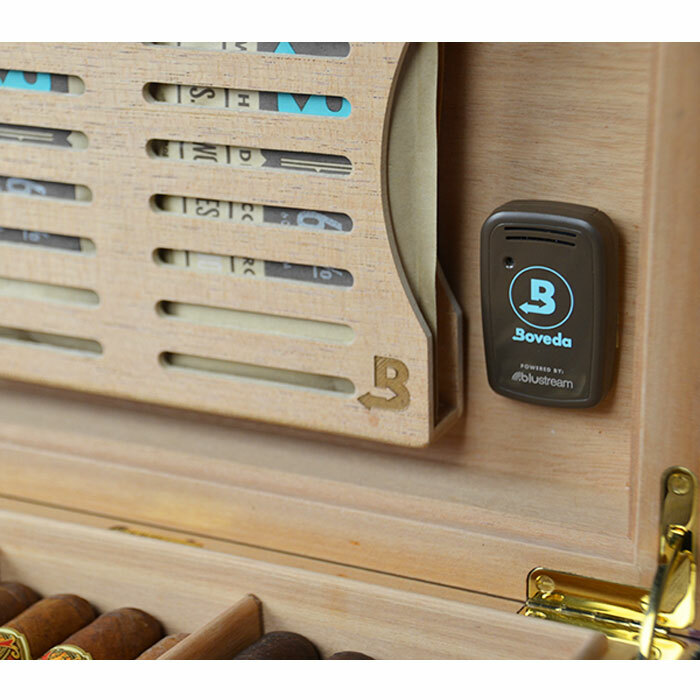 I spotted the Boveda Smart Sensor at the trade show in Las Vegas in Summer and we have finally managed to get it into our warehouse and its selling like hotcakes! Great value, works brilliantly… like all wonderful Boveda Products. For our pipe smokers we just ran a ridiculously popular buy one get the second half price promotion. We have an insane range, probably the biggest and best in the UK and always the best value in the UK. Avo cigars are a C.Gars exclusive in the UK. Made by Davidoff in the Dominican Republic these high quality cigars are priced incredibly keen and we will launch an Orchant Seleccion next month which in my opinion is the best in the range. Look out for them as they won’t be around long (limited edition). Check out our Whiskey of the Month offers guaranteed best value in the UK with rapid delivery of course. This week I’m putting together the finishing touches on our Winter Auction which will conclude on the 2nd December. Some 300 Lots of aged, rare, limited, unusual Havana cigars will be offered and the catalogue will be online a week before the sale. Have a smokey week, but don’t forget to top up the humidor sooner rather than later to ensure you don’t get hit too hard by the Chancellor. I’d advise stocking up on a few more than your usual order, upgrade those boxes of 10‘s to boxes of 25‘s for now! No travel zone for me this week as my G.M. Michelle is on vacation so it’s rather relaxing 4 hour days in the office with some serious cigar sampling activity and not much else ☺ … though I did pop into Turmeaus Mayfair for a cheeky BBF yesterday and a wee dram of Orchant Seleccion Cigar Malt (a marriage made in cigar and Scotch heaven I reckon). 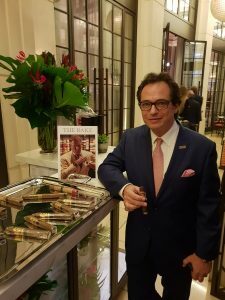 That said I did enjoy a splendid evening at The Corinthia hotel cigar terrace on Tuesday as I was invited to a very special Hublot watch event as brand ambassador in the UK for Arturo Fuente cigars. You’re probably wondering what on earth does Fuente have to do with Hublot watches?! 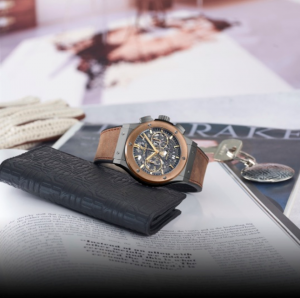 Well check it out on this link, a very cool watch and a very cool partnership between these two luxury brands. 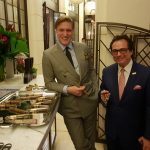 Even more cool were the special Hublot Fuente Opus X cigars specially made by one roller to celebrate the partnership and coincide with the 100th anniversary of Fuente cigars in 2012. I can honestly say that these cigars were probably amongst the top 3 cigars I have ever enjoyed in my entire life. Smooth, sweet and complex flavour bombs that are in a superior class of their own. 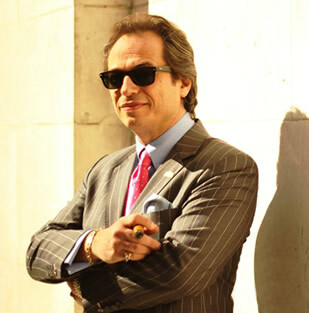 Fuente is an amazing cigar manufacturer that we are proud to be the UK importer and distributor of. Now into its 4th generation this family business makes the highest quality cigars with a limited production of around 30 million sticks a year. Established in 1912 and until 1962 the cigars were made from Cuban tobacco (Arturo Fuente was in fact from Cuba). 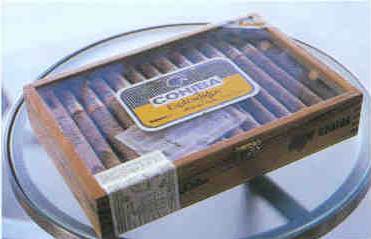 Made in their own factory in the Dominican Republic since 1980 and Fuente have recently opened a factory in Nicaragua. So a fun evening was had by a lot of novice cigar smokers and quite a few experienced cigar smokers too. 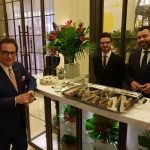 Great to catch up with Adam, the head cigar sommelier at The Corinthia. The terrace is super comfortable and the walk in humidor has an amazing selection of cigars.